One common argument against indefinite lifespans is that a definitive limit to one’s life – that is, death – provides some essential baseline reference, and that it is only in contrast to this limiting factor that life has any meaning at all. 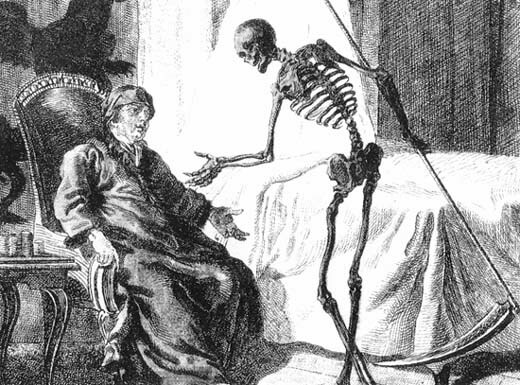 In this article I refute the argument’s underlying premises, and then argue that even if such premises were taken as true, its conclusion – that eradicating death would negate the “limiting factor” that legitimizes life – is also invalid, because the ever-changing state of self and of world can constitute such a limiting factor just as well as death can, which can be seen lucidly in the simple fact that opportunities once here are now gone, and that it is not death but life itself that is responsible for that. 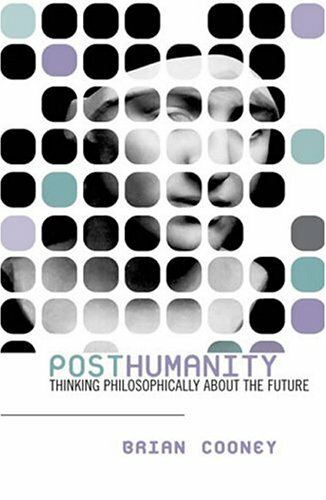 One version of the argument, which I’ve come across in a variety of places, is given in Brian Cooney’s Posthumanity: Thinking Philosophically about the Future, an introductory philosophical text that uses various futurist scenarios and concepts to illustrate the broad currents of Western Philosophy. 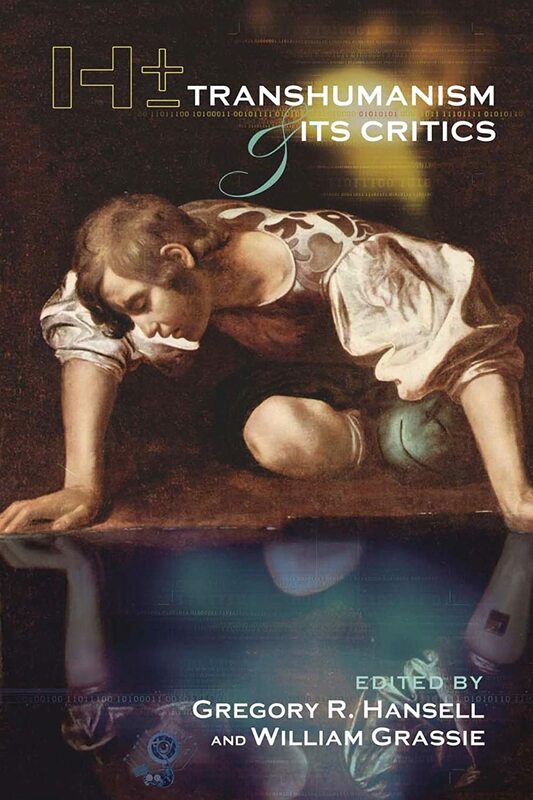 Towards the end of the book he makes his argument against immortality, claiming that if we had all the time in the universe to do what we wanted, then we wouldn’t do anything at all. Essentially, his argument boils down to ‘if there is no possibility of not being able to do something in the future, then why would we ever do it?”. “Our ancestors realized that immortality would be a curse, and we have never been tempted to bestow it on ourselves… We didn’t want to be like Homer’s gods and goddesses. The Odyssey is saturated with the contrast of mortal human life, the immortality of the gods and the shadow life of the dead in Hades…Aren’t you struck by the way these deities seem to have nothing better to do than be an active audience for the lives and deeds of humans… These gods ate going to live forever and there is no scarcity of whatever resources they need for their divine way of life. So (to borrow a phrase from your economists) there is no opportunity cost to their choosing to do one thing rather than another or spend time with one person rather than another. They have endless time and resources to pursue other alternatives and relationships later. Consequently, they can’t take anyone or anything seriously… Moreover, their lives lack meaning because they are condemned to living an unending story, one that can never have narrative unity… That is the fate we avoid by fixing a standard limit to our lives. Immortals cannot have what Kierkegaard called ‘passion’… A mind is aware of limitless possibilities – it can think of itself as doing anything conceivable – and it can think of a limitless time in which to do it all. To choose a life – one that will progress like a story from its beginning to its end – is to give up the infinite for the finite… We consider ourselves free because we were liberated from the possibility of irrationality and selfishness.” (Cooney, 2004, 183-186). Thus we see that Cooney’s argument rests upon the thesis that death gives meaning to life because it incurs finitude, and finitude forced us to choose certain actions over others. This assumes that we make actions on the basis of not being able to do them again. But people don’t make most of their decisions this way. We didn’t go out to dinner because the restaurant was closing down… we went out for dinner because we wanted to go out for dinner… I think that Cooney’s version of the argument is naïve. We don’t make the majority of our decisions by contrasting an action to the possibility of not being able to do it in future. His argument seems to be that if there were infinite time then we would have no way of prioritizing our actions. If we had a list of all possible actions set before us, and time were limitless, we might (according to his logic) accomplish all the small, negligible things first, because they’re easier and all the hard things can wait. If we had all the time in the world, we would have no reference point with which to judge how important a given action or objective is, which ones it is most important to get done, and which ones should get done in the place of other possibilities. If we really can do every single thing on that listless list, then why bother, if each is as important as every other? In his line-of-reasoning, importance requires scarcity. If we can do everything it was possible to do, then there is nothing that determines one thing as being more important than another. A useful analogy might be that current economic definitions of value require scarcity. If everything were as abundant as everything else, if nothing were scarce, then we would have no way of ascribing economic value to a given thing, such that one thing has more economic value than another. What we sometimes forget is that ecologies aren’t always like economies. “Finally, since death is part of the cycle of life characteristic of finite creatures, we will need to concern ourselves with a dignified death… the dying process need not be humiliating or dehumanizing; if done properly, as the hospice movement has shown us, the dying process itself can be dignified by remembering that we are dealing with persons whose life narratives in community are imbued with meaning, and that meaning does not disappear when bodily functions decline of finally cease.” (Tirosh-Samuelson, 2011). She may have provided a line of reasoning for arguing that death need not be indignifying or humiliating (which I don’t think is the main concern for most people concerned with death), or that it need be dehumanizing. I would argue that she has not provided enough substantiation to support this last claim, that death is not dehumanizing. Nor has she convinced me that death has any dignity whatsoever; I would say that she’s digging her claim’s own grave by focusing on the nitty gritty details of humiliation and dignity. It is not the aspects of death that make it problematic and wholly-unsatisfactory, it is what it negates that underlies the problem. It is the fact that it negates life, and only in life can dignity or meaning even have any meaning, that death is bad. To consider dignity and humiliation when such a thing as the possibility of complete inexistence is on the table is to fail by misemphasis. Sure, people can remember you after you’ve gone, and contributing to larger projects that continue after one’s own death can provide some meaning… but only for those still alive. Not for the dead. The meaning held or beheld by the living could pertain to the dead, but that doesn’t constitute meaning to or for the dead, who forfeited the capability to experience, embody, hold or behold meaning when they lost the ability to experience, embody, hold or behold anything at all. I think her last claim, that death need not be dehumanizing, is founded upon her personal belief in an afterlife more than the fact that meaning doesn’t necessarily have to cease when we die, because we are part of “a community imbued with meaning” and this community will continue after our own death, thus providing is continuity-of-meaning. If to be human is to be singly or summatively alive, to be aware, to think and feel, and all these aspects are negated through physical death, then death is the epitome of dehumanization. Tirosh-Samuelson fails in this section, and indeed in her larger paper, to reconcile death with human dignity and meaning. The fact that she believes in a form of afterlife also largely invalidates the claims she makes, in that death means two completely different things to an atheist and a theist. As I have argued elsewhere (Cortese, 2013, 160-172), only the atheist speaks of death; the theist speaks merely of another kind of life. For a theist, death would not be dehumanizing, humiliating or indignifying if all the human mental attributes they possessed in the physical world were to be preserved through death in an afterlife. For an atheist, is definitively would, as it constitutes a negation of all the aspects that distinguish us as human. Where could this strange notion have come from? That death would give meaning to life… Is it our intuitions, having picked up on the fact that we usually draw conclusions and make final and definitive interpretations when a given thing is finished (e.g. we wait until the book is done before we decide whether it was good or bad)? Is it because we feel that lives, much like stories, need a definitive end to be true, and that something must be true to matter? Could this (at least partly) come from the long philo-socio-historical tradition of associating truth and meaning with staticity and non-change? It makes seeming sense that we would rather truth not be squirming around on our hand while we’re looming for a better view. If truth is stillborn and stable, then we can make pronouncements we feel won’t dissipate as soon as they’ve left the tongue. If truth is motionless, then we might just be able to get a handle on it. If it’s running about like a wild animal, then any attempt to make or to discover truth might be murdered remorselessly by truth’s newest transformation. Corpses are easier to keep canned in ken than runny kids, after all. If something can go on towards infinity then there is no time that it will stop moving, no time it will come definitively to rest and say ‘I am this.’ If we don’t have an end to curtail the reverse-comet-tail of our foreward rail, no last-exit exhale, never to come to rest so as to rest in one definitive piece, then we won’t ever be static enough to fit this vile definition of truth-as-staticity. This rank association of truth with being-at-rest has infected our very language: thus to go in a straight line without wavering is to keep true. So this memetic foray has yielded a possible line-of-conceptual-association. We must have an end to be still, we must be still to have truth, and we must have truth to matter at all. Perhaps. There is no telling without a look at the till, and unfortunately it’s been taken by the wind. If truth is that which does in fact exist, if truth is existence, then they’ve committed a dire irony by grounding truth in ground instead of sky, in the ironed smock instead of wrinkled frock, and by locating truth-as-existence in stillbirth and death so ill as to be still as still can be. If truth is life and life is motion, then how can truth be motionless death? They forget that their hard iron ore once flowed molten-bright and ductile enough to be pushed by oar. It also makes slick and seemly sense, on the sheen of the surface at least, that we’ve associated change with death and the negation of truth. What once was is no more – and change is the culprit. Disintegration, destruction, death and the rank rot of fetid flesh all use change as their conduit. What they’ve failed to see is that so too with life, which acts solely through change. They’ve mistaken upheaval for removal, forgetting that to be we heave by the second as we breathe unbeckoned. Death only seems to require change because it’s still life until the very end. Life is change, life is motion, and death, when finally finished, is just the opposite. In any case, they are wrong. Life doesn’t need limitation to get its hard-sought legitimation. Life is its own baseline and reference point. Death is a negation of life, taking all and leaving but the forsaken debris strewn by your wakeup quake. Life may not be ipso-facto valuable according to all philosophies of value – but life is a necessary precondition for any sort of value whatsoever, ipso facto. Being is Time Timing Itself? Stop watching the Stopwatch. Another version of the “limiting factor” argument comes from Martin Heidegger, in his massive philosophical work Being and Time. In the section being-toward-death he claims, on one level, that Being must be a totality, and in order to be a totality (in the sense of absolute or not containing anything outside of itself) it must also be that which it is not. Being can only become what it is not through death and so in order for Being to become a totality (which he argues it must in order to achieve authenticity – which is the goal all along, after all) it must become what it is not – that is, death – for completion. (Heidegger, 1962). This reinforces some interpretations made above in linking truth with completion and completion with staticity. Another line of reasoning taken by Heidegger seems to reinforce the interpretation made by Cooney, which was probably influenced heavily by Heidegger’s concept of being-toward-death. The “fact” that we will one day die causes Being to reevaluate itself, realize that it is time and time is finite, and that its finitude requires it to take charge of its own life – to find authenticity. Finitude for Heidegger legitimizes our freedom. If we had all the time in the world to become authentic, then what’s the point? It could always be deferred. But if our time is finite then the choice of whether to achieve authenticity or not falls in our own hands. Since we must make choices on how to spend our time, failing to become authentic by spending one’s time on actions that don’t help achieve authenticity becomes our fault. To be philosophically scrupulous would involve dissecting Heidegger’s mammoth Being and Time, and that is beyond the scope of this essay. Anyone who thinks I’ve misinterpreted Heidegger, or who thinks that Heidegger’s concept of Being-Towards-Death warrants a fuller explication that what it’s been given here, is encouraged to comment. Can Limitless Life still have a “Filling Stillness” and “Legitimizing Limit”? Perhaps more importantly, even if their premises were correct (i.e. that the “change” of death adds some baseline limiting factor, causing you to do what you would have not if you had all the time in the world, and thereby constituting our main motivator for motion and metric for meaning) they are still wrong in the conclusion that indefinitely-extended life would destroy or jeopardize this “essential limitation”. The crux of the “death-gives-meaning-to-life” argument is that life needs scarcity, finitude or some other factor restricting the possible choices that could be made, in order to find meaning. But final death need not be the sole candidate for such a restricting factor. All changed, changed utterly… A terrible beauty is born. The self sways by the second. We are creatures of change, and in order to live we die by the moment. I am not the same as I once was, and may never be the same again. The choices we prefer and the decisions we are most likely to make go through massive upheaval. The changing self could constitute this “scarcitizing” or limiting factor just as well as death could. We can be compelled to prioritize certain choices and actions over others because we might be compelled to choose differently in another year, month or day. We never know what we will become, and this is a blessing. Life itself can act as the limiting factor that, for some, legitimizes life. Society is ever on an s-curve swerve of consistent change as well. Culture is in constant upheaval, with new opportunity’s opening up(ward) all the time. Thus the changing state of culture and humanity’s upheaved hump through time could act as this “limiting factor” just as well as death or the changing self could. What is available today may be gone tomorrow. We’ve missed our chance to see the Roman Empire at its highest point, to witness the first Moon landing, to pioneer a new idea now old. Opportunities appear and vanish all the time. Indeed, these last two points – that the changing state of self and society, together or singly, could constitute such a limiting factor just as effectively as death could – serve to undermine another common argument against the desirability of limitless life (boredom) – thereby killing two inverted phoenixes with one stoning. Too often is this rather baseless claim bandied about as a reason to forestall indefinitely-extended lifespans – that longer life will lead to increased boredom. That self and society are in a constant state of change means that boredom should become increasingly harder to maintain. We are on the verge of our umpteenth rebirth, and the modalities of being that are set to become available to us, as selves and as societies, will ensure that the only way to entertain the notion of increased boredom will be to personally hard-wire it into ourselves. Considering the effort that is being put into developing new ways of killing people, extension of life can only be a good idea. Once man developed a way of eliminating death, his next million years would put into resurrecting his loved ones. Where would that quest lead? Anything might be possible eventually (if we could just simulate the entire universe, pick out beings, and rematerialize them using a matter transmuter or nanomachine of some kind???) Perhaps after we die, we all wake up in an advanced machine where everyone and humpty dumpty has finally been put back together again. Then again, the heat death of the universe can’t be escaped even by immortal beings, without learning to discover — or to create — a new universe to live in. This is the kind of discussion that life-extended humans would likely be having. Good article – provoked lots of associated thoughts – particularly liked your discussion of the static conception of truth. I think that the first problem transhumanism should solve is not immortality(or mortality) but how to create an ethical existence that people would want to stay in forever. Like “heaven”. Suicide is a serious problem in western societies. This is a fact all transhumanists should keep in mind while writing about transhumanism. I think there’s a lack of philosophizing about ethics and/or feelings related to ethics (in transhumanism). I mean, if we had no feelings, “ethics” would be something very different than what we view today: Let’s say I hit you, but you don’t feel hurt or dishonoured or angry or revengeful. What would make my action bad? Apparently, nothing. I’m curious how would you relate feelings to an immortal existence. Do you think transhumanism should work on eradicating the negative feelings; or create themselves or AI in a way that acts in a perfectly wise way, without invoking any negative feelings?